Hey there everyone – it’s time for another video at MFT – maybe you saw the movie Gorillas in the Mist? 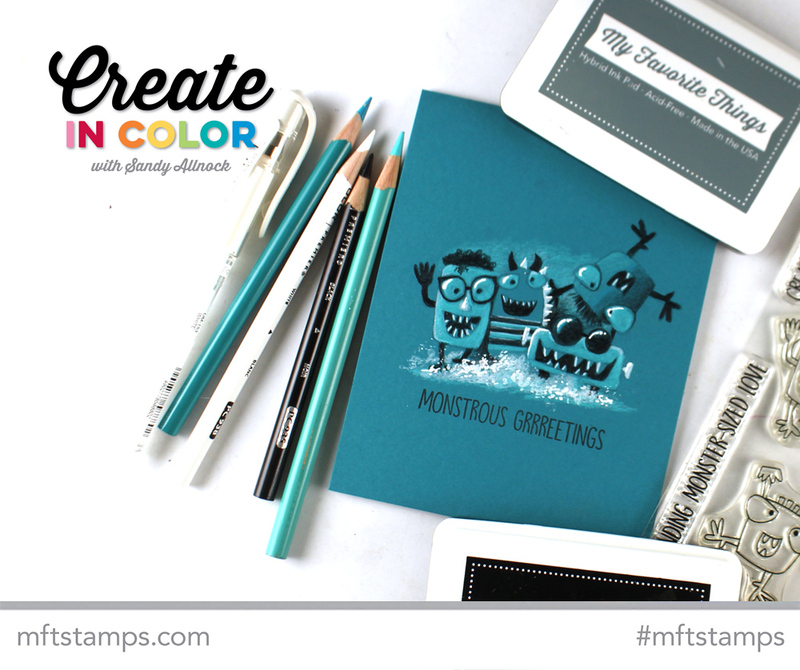 I call this Monsters in the Mist — see the video over at MFT! I love this, it is so cute! You are so creative and I have learned much from watching your videos. You make it fun and have inspired me with many of your projects to Give it a Try! Thank you for sharing your talent and for making me smile. Great job Sandy and that with a few pencils. I love your monsters in the mist! Oh, my! What you can do with 3 pencils is incredible!! Love it! Such a fun card ! Left comment at MFT but wanted you to know I love the techniques you share on your videos. Wow what a cool technique. Well that was fun. I had no idea you could so easily cover the stamped images with coloured pencils if you want to change it. Super cute. I’ve taken a few of your classes and I watch all of your videos. I always learn something. You’re a great art teacher. Thank you for generously sharing the way you do.